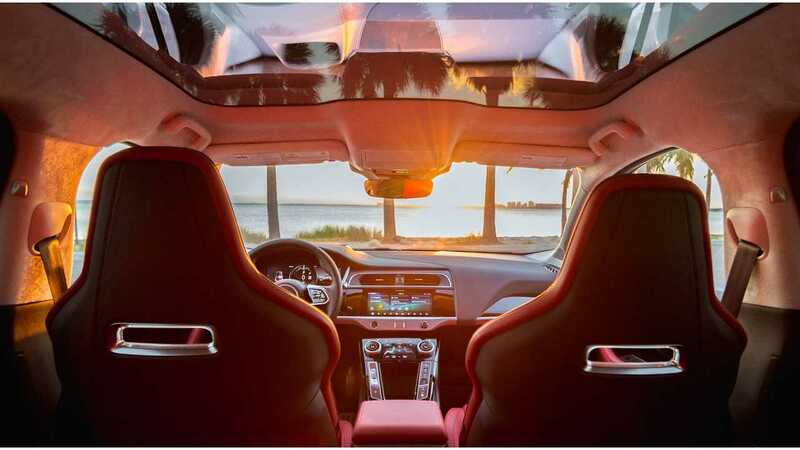 After San Francisco in October, Jaguar bring its Jaguar Electrifies Experience even to Miami (November 8-11) making its all-new I-PACE available for test drives. It's a smart tactic to put consumers behind the wheel as the I-PACE is a driver's cars and the driving experience is phenomenal. The event will come to Los Angeles and New York City too. Here we've gathered photos of the I-PACE in Miami. The Jaguar Electrifies Experience, a multi-city national tour, will be coming to Miami November 8-11. To mark the arrival of the Experience in Miami, Jaguar is teaming up with Professional Football Player Danny Amendola, who will be at the event on November 9 from 2:30-5:00pm and will participate in the I-PACE SmartCone challenge and also meet and sign autographs for guests. The Jaguar Electrifies Experience is designed to engage, entertain, and educate consumers on the full Jaguar vehicle lineup as well as the benefits of owning an electric vehicle (EV). The event series kicked off in San Francisco in October, and after Miami, will continue to travel to key U.S. EV markets, including Los Angeles and the New York City metro area through spring 2019. To highlight the Experience in Miami, Jaguar has launched a local marketing and advertising campaign including a series of billboards and wallscapes, as well as guerilla chalk stenciling strategically placed throughout the city. The brand is also working with local Miami vendors to offer attendees at the Experience flavors of the city with a selection of food and beverage options from local favorites including acclaimed Michelle Bernstein Catering, The Salty Donut, 222 Taco, and Crumb on Parchment, among others. The Experience in Miami will also feature a Late Night Lounge on Saturday, November 10 to give consumers an opportunity to enjoy the Experience after hours, without the driving portion of the event. At the center of the Jaguar Electrifies Experience is the Jaguar I-PACE performance SUV, the brand’s first fully electric vehicle equipped with a 90kWh battery with an EPA estimated electric range of 234 miles2. The I-PACE is priced from $69,5001 in the US and will be available to consumers this fall. The Jaguar Electrifies Experience guides participants on a journey through the full lineup of 2019 model year Jaguar vehicles, then takes a deep dive into “The World of I-PACE” to learn about the brand’s first all-electric performance SUV through a series of interactive touchpoints. Along the way, participants will have the opportunity to get behind the wheel of several of the latest Jaguar vehicles, including the I-PACE, F-PACE, E-PACE and F-TYPE in a series of street drives. Guests will also be able to drive the Jaguar I-PACE on a timed and scored, closed-circuit SmartCone drive. To participate in the drive experiences, attendees must be 21 or older with a valid driver’s license. Passengers in the vehicle must be 8 or older and accompanied by a parent or guardian. The Experience will conclude in “The Electric Lounge,” featuring some of the industry’s most cutting-edge products and technologies curated by media partner WIRED, including the Ubtech Cruzr robot that will engage with visitors when they walk within range, the Sony Aibo robotic dog, Meural digital picture frames, Weatherman Umbrellas, among other products. The lounge will also feature the Jaguar brand’s electric racing vehicles, including the Jaguar I-TYPE from the Formula E series and the Jaguar I-PACE eTROPHY from the world’s first all-electric spec racing series, a support race to the ABB FIA Formula E Championship in Season 5, beginning with the Formula E debut in the Middle East on December 15. In addition, guests will be able to participate in various augmented and virtual reality activities, including the interactive Jaguar I-PACE Theater, which can be shared on social media. The Theater features the Jaguar I-PACE, and guests will be able to experience the latest in high-speed, 360 degree photo technology in a mirrored infinity room. Participants will receive their photos electronically before leaving and are encouraged to share these photos on social platforms using #JaguarElectrifies. The Jaguar Electrifies Experience will be open to the public in Miami at the Mana Wynwood Convention Center from November 8-11. For additional information, and to register to attend, please visit www.jaguarusa.com/electrifies. 1 All prices shown are Manufacturer’s Suggested Retail Price. Excludes $995 destination / handling charge, tax, license, and retailer fees, all due at signing, and optional equipment. Retailer price, terms and vehicle availability may vary. See your local authorized Jaguar Retailer for details. 2 EPA estimated all-electric range is 234 miles with a fully charged battery and 80 city, 72 highway, and 76 combined MPGe. MPGe is the EPA-equivalent measure of gasoline fuel efficiency for electric mode operation. All figures are EPA estimates. Actual range and mileage will vary with driving conditions and style, and other factors.